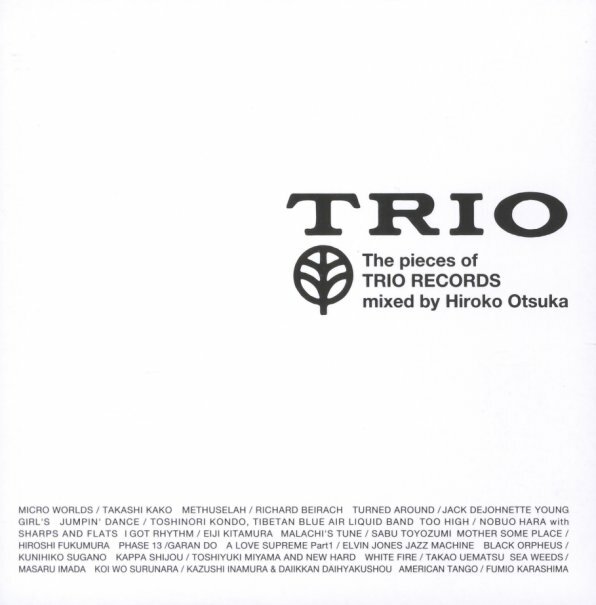 A fantastic trip through the catalog of Trio Records – one of the coolest Japanese jazz labels of the 70s – and a company who not only gave growing local talent the chance to really spread their wings, but who also cut some great rare sessions by American artists too! The set here is heavy on work from the Japanese scene, and although the title says "mixed", the selection here isn't really all that funky – and instead presents Trio in all their glory – in a very hip combination of modal jazz, electric numbers, soulful moments, and even a few avant tracks – all balanced out beautifully with a great sense of pacing throughout. Titles include "Micro Worlds" by Kako TAkashi, "Young Girls Jumpin Dance" by Yoshinori Kondo, "Too High" by Sharps & Flats, "Mother Some Place" by Hiroshi Fukumura, "Malachi's Tune" by Yoshaburo Toyosumi, "Kappa Poetry" by Toshiyuki Miyama & New Heard, "Love Supreme (part 1)" by Elvin Jones Jazz Machine, "Methuselah" by Richie Beirach, "Turned Around" by Jack DeJohnette, "Sea Weeds" by Masaru Imada, and "White Fire" by Takao Uematsu. © 1996-2019, Dusty Groove, Inc.